Koleys Inc., Adjustable Solid Brass Advent Wreath. 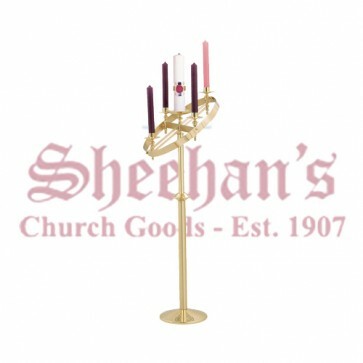 Magnificent, tilting adjustable head Solid Brass Advent Wreath. Height will vary from 48" (level) to 55" in tilted position, candles will always stay upright. This finely crafted with attention to detail church advent wreath is furnished with 1 ½" sockets, or adapters for oil candles (specify) when ordering. 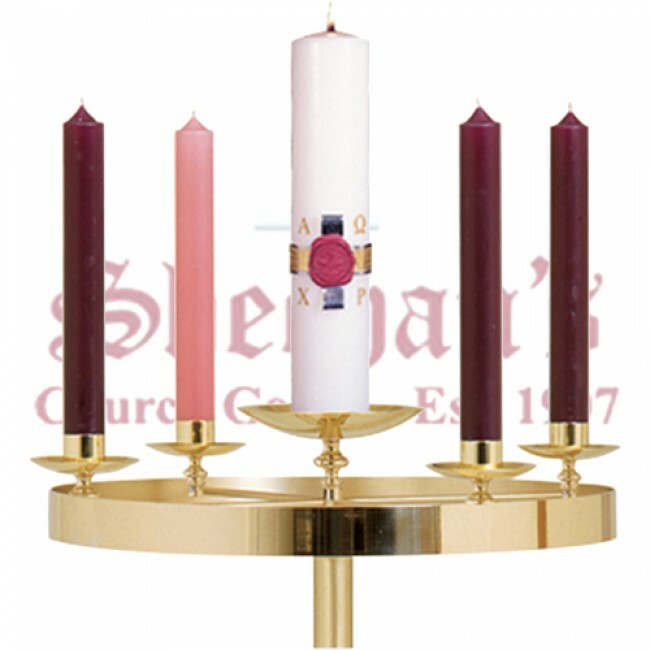 Ring in two-tone satin and bright finish measures 21" with 12" weighted base. Your choice complete set or wreath only, however wreath requires a stand with a 12" base.